Our little skin care shop used to be located in a small, offset part of town that mostly held industrial businesses. We would open the shop every day, set out our cute little flags and benches and entice locals in with beautiful aromas of skin care products wafting into the air. 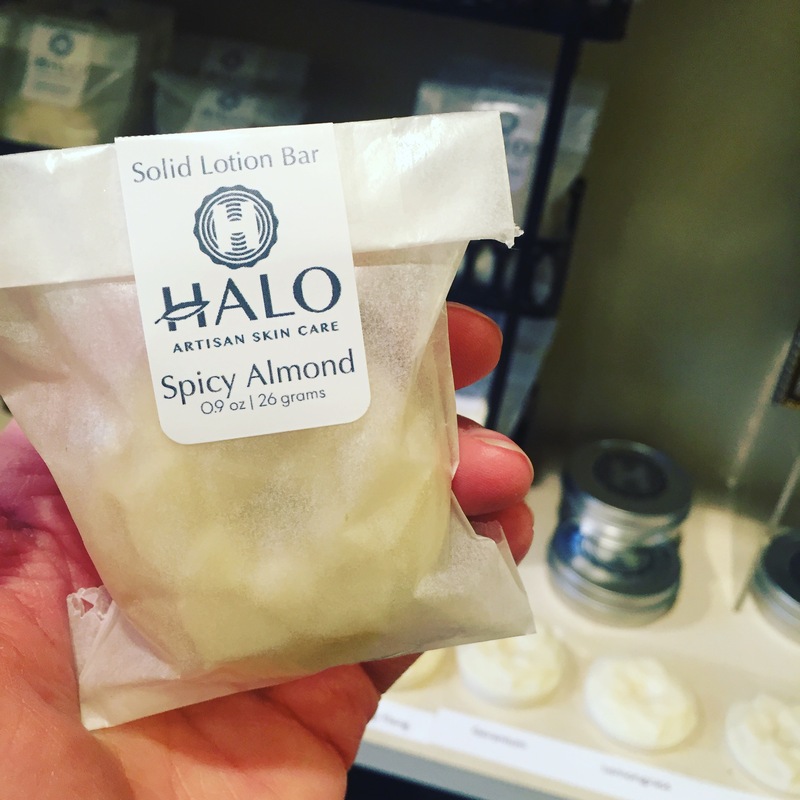 When we were in the early years, we offered solid lotion bars to our customers. We developed the beautiful little bars of moisturizing coconut oil and shea butter, thickened with a bit of beeswax and scented with delectable essential oils. We also used to sell them all in tins. Tins are expensive! Imaging wanting to try 3-4 different scents of these little solid lotion bars. You had to buy each bar + pay for the tin they were packaged in. Well, no more! Since bringing solid lotion bars back to the shop, we offer them in a simple vellum bag and you can purchase the tin separately! How great is that! Now, instead of buying 3 solid lotion bars for $18, you can buy 3 solid lotion bars and a tin for $12.50. So let's talk about solid lotion bars and how great they are for your skin! Our solid lotion bars are made with just the right combination of coconut oil, beeswax, cocoa butter and jojoba oil. We then scent them with (mostly) single note essential oils. As we further develop our line of solid lotion bars, we'll be adding and subtracting scents offered based on popularity. So far, our best sellers are Spicy Almond and Lemongrass! To use a solid lotion bar, just rub it on your skin like you would a bar of soap! Rub it between your hands, glide it along your arms and legs - the warmth of your body will lightly heat the bar enough to turn the solid bar into a liquid moisturizer. Solid lotions bars are SOLID. That means you can take them on an airplane! Anyone who has traveled has felt the woes of dry skin from being at 35,000 feet. Long flight but TSA made you throw away your 32 ounce bottle of Jergens? Well first of all, shame on you for using Jergens. You know better. But instead of throwing that $7.49 in the trash, take one of our solid lotion bars along and you'll be feeling moisturized all the way to Bali! With such simple ingredients, there is as lot more you can do with a solid lotion bar! - Use it as a shower bar. At the end of your shower, rub the solid lotion bar all over your body. When you step out of the shower, just pat dry and you won't need to put lotion on after your shower! - Keep puppy paws soft. While a salve texture is best for stubborn dryness and cracks on your dogs paws, you can lube up the paw pads between thick salve applications or use our solid lotion for preventative measures! Make sure you check with your vet to make sure the essential oils are okay for your pup. - Belly balm for expecting mothers. While we do make a product that is formulated especially for growing bellies, our solid lotion bars are a great way to keep moisturized between applications of our Tummy Butter. Just like any solid balm, you need to keep an eye out for excessive heat. Don't worry though! If your product melts, just let it re-solidify and it'll be just as usable as before! 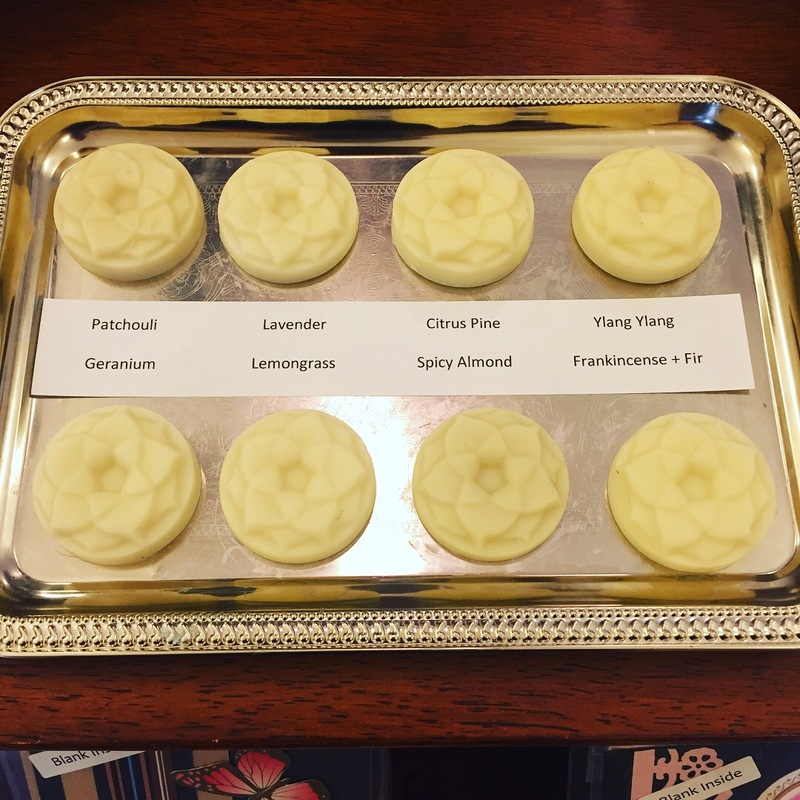 For now we only sell our solid lotion bars at the shop but when we finalize the line of scents we'll be offering, you'll be able to find them on our website.